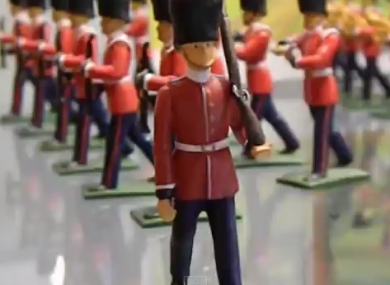 Yes, Ireland has a toy soldier factory. Europe’s only toy soldier factory is located in Ireland – in the tiny village of Kilnamartyra in the Macroom area of Cork to be exact. The Prince August visitor centre has just been awarded a Tripadvisor Certificate of Excellence for the second year in a row. The owners say they are delighted to have been, once more, recognised by travellers on the worldwide travel site. The accolade rewards excellence in hospitality and is given to establishments that consistently achieve outstanding traveller reviews on the site. The factory runs demonstrations and workshops every day and is popular for families holidaying in the area. One father writes about a recent visit: “I will admit, it may seem a little childish at first, but I think my wife and I had just as much fun as our 8 year-old daughter. The help was friendly, and very accommodating. The factory itself, was not much to look at or much of an experience, but making your own toy and painting it, was a very fun experience for our family. Before we knew it, we had spent over an hour painting our toys. How much do you want to visit there now? Email “Another award for Ireland's Toy Soldier Factory ”. Feedback on “Another award for Ireland's Toy Soldier Factory ”.